Recently, we learned about Zaha Hadid in our Foundation Design 102 class. These seats were designed by her. 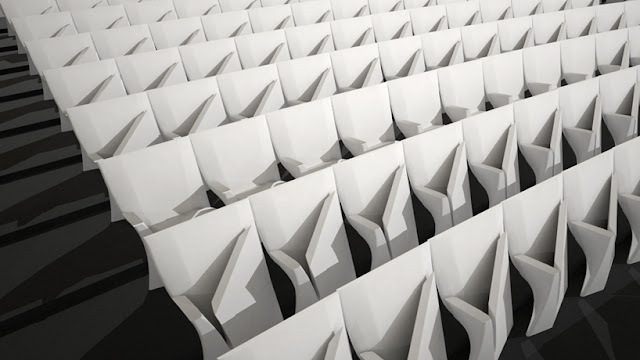 She not only designs amazing architecture, but she also designed these amazing theatre seats. These seats are an innovative because they are an equally effective and more interesting twist to the classic theatre seat. She includes the geometry in to her work just like she includes it into her architectural design. Wow, great Example! What is especially interesting is the way the seats fold into themselves and are so stream-lined. Functional and simple, and reminds me of our origami explorations!